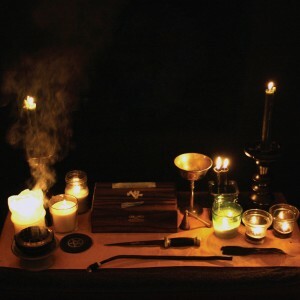 Although they’ve only been active since 2010, San Francisco’s SUTEKH HEXEN has already managed to produce a sizable back catalog of releases that exist in a nebulous gray area between black metal, noise, and dark ambient. The band’s newest effort, Behind The Throne, is their most skillful yet, with their unholy sonic maelstrom accented by subtle textural elements and understated melodic components. This in no way represents a watering-down of their distinct vision however, and the resulting release is an unsettling journey along tonality’s periphery. By honing their distinct aesthetic, SUTEKH HEXEN‘s newest release has displayed the band’s ability to create a richly rewarding listening experience for any listener brave enough to embrace the discordance.